We know firsthand that “emerging” asset managers face a unique set of business issues. Positioning your firm for future success means setting an overall strategic course and managing a host of product, distribution, technology, operations, compliance, HR and succession planning issues – all at the same – and all amid a very fluid and challenging environment. The Forum is an opportunity to step back for a day and really think about your business. You’ll hear from a wide range of industry experts and peers, gain real-world insights and perspective, and make new contacts. Perhaps most importantly, you’ll have a chance to engage directly with decision makers from key distribution platforms, including broker-dealers, banks, TAMPs, and regional consulting firms, in a unique two-hour roundtable session. Note: To allow for an open exchange of ideas, this event is closed to members of the media. There are roughly 600 asset managers with less than $10 billion in U.S. mutual-fund assets, all competing for dwindling distribution shelf space and in an environment where investors have flocked to lower-cost options and passive strategies. Still, there are opportunities for those that fly under the radar to grow, particularly those with strong stewardship attributes. Morningstar evaluates more than 400 asset managers globally, assigning each a parent rating based on their track records on putting investor interests ahead of their own. In this presentation, Bridget Hughes shares current industry trends relevant for smaller asset managers and delves into Morningstar’s approach to parent ratings, highlighting some best practices that have made a difference for smaller managers. Advisors have long been resistant to outsourcing portfolio construction despite the potential advantages of professional management and time freed up to focus on client relationships. However, asset managers, broker-dealers, and third-party strategists are now placing increased emphasis on offering asset allocation models – sometimes at no cost – through their systems and through emerging FinTech marketplaces. For large wealth management firms, the value proposition is compelling as the models control the investor experience and free advisors’ time to focus on organic growth. For large asset managers, model portfolios allow them to establish their intellectual capital with advisors and influence flows into their products. 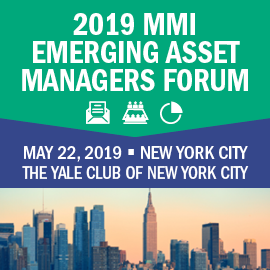 This session provides an overview of the landscape of asset allocation model delivery, looking at whether the demand exists to make model portfolios a sustainable long-term trend, and how emerging asset managers can continue to compete successfully in a market seemingly poised to be dominated by scale competitors. Asset Managers and Technology Challenges: What Does the Future Hold? Digital engagement is an increasingly important component of the client/advisor relationship. The ability to earn and keep a client’s trust via an omni-channel digital platform can help differentiate an advisor’s offering. As the pressure to engage digitally with clients and prospects increases, advisors will seek out more efficient processes for generating proposals, onboarding clients, and managing portfolios – and will look for incremental value from their asset management partnerships to help deliver a better portfolio and experience. This panel explores how advisors are leveraging new technology to better serve their clients and how asset managers can continue to evolve their role in the advisor technology space. Compliance due diligence has increasingly become a more substantive part of the manager selection process. While many managers have become familiar with more detailed compliance reviews for institutional mandates, the requirements for ‘40 Act funds can impose even more stringent requirements – ranging from business insurance and cybersecurity controls to audited financial statements. These requirements can be particularly onerous for smaller managers, many of which outsource all or some aspects of compliance oversight. This panel explores the most important aspects that managers need to be aware of and how outsourced solutions can strengthen or weaken compliance approvals. Succession planning is critical with respect to any “going concern” – small or large. However, research shows that most small businesses – including those in the asset and wealth management industry – fail to plan for an orderly management and ownership succession. In this session, the panel tackles a broad range of the most salient issues relating to emerging asset managers. Topics include why a formal succession plan is so important, the planning process, and, most importantly, the execution – all with particular emphasis on effective communication with your constituents. This highly interactive two-hour session is consistently cited by Forum attendees as the highlight of the conference. The format provides an opportunity for asset managers and gatekeepers from different distribution channels to engage in direct dialogue. provide a roadmap to navigate specific sponsor platforms and create natural follow-up steps. To provide maximum value and make efficient use of the available time, manager representatives will have the opportunity to submit questions to platform sponsors in advance of the Forum. Matt Sturdivan, Director of Traditional and Long/Short Equity, RVK, Inc. The Forum represents a unique opportunity to build brand awareness with senior executives from emerging asset manager firms, showcase your products and services, and build key relationships. View the available sponsorship opportunities. All cancellations and transfers are subject to a $50 cancellation/transfer fee. Full refunds minus the $50 cancellation/transfer fee will be granted for cancellation requests received prior to 5:00 PM ET on Wednesday, May 15, 2019. After that time, no refunds or credits will be granted, however your registration can still be transferred to another individual at your firm. To cancel or transfer your registration, please notify MMI at (646) 868-8500. Money Management Institute (MMI) conferences and events provide an opportunity for MMI members and other industry participants to come together for educational and networking purposes. Inappropriate behavior, such: as possible illegal conduct; use of derogatory or discriminatory language, gestures or actions; verbal or physical abuse of any type, unwanted advances or invasions of privacy; or any activity that might be construed as harassment, racism, or sexism, is unacceptable and will not be tolerated. If you aware of, or are involved in an incident, at an MMI conference or event that violates this Code of Conduct, please contact MMI immediately. MMI will promptly and confidentially investigate any reported activities and take appropriate action. Please also familiarize yourself with the MMI Antitrust Guidelines and Compliance Policy.